Pak Choi ‘Joi Choi F1’ is a brilliant Pak Choi with bright white stems and dark green leaves. Excellent taste. Pak choi has become a very popular vegetable thanks to the promotion of many celebrity chefs. 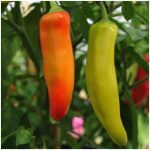 It is an absolutely delicious vegetable and very easy and quick to grow. 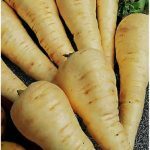 It can be eaten at any stage of its development, raw or stir-fried. Pak choi is an excellent vegetable for growing in tunnels and greenhouses especially in the latter part of the year. It is also very hardy and can be overwintered for an early spring harvest. Pak choi requires a fertile and well-drained soil with good water retention and a pH range of 5.8 – 7. A generous application of well decomposed compost or manure is essential. Pak choi is an excellent follow-on crop in summer. In spring the leaves are usually destroyed by the fleabeetle. The best time to sow pak choi is from late June until mid September. I usually sow 1 seed per cell into a modular tray. This produces a nice single head of pak choi. If you grow them for baby leaves you can sow 4 seeds per cell. The plants are ready to transplant 3 to 4 weeks after sowing. Pak choi requires unchecked, rapid growth otherwise the plants may bolt. You need to keep the plants well watered at all times. The plants are ready to harvest about 4 – 8 weeks after planting, depending on the season. Plants can be harvested whole or individual leaves can be cut with a knife or scissors. 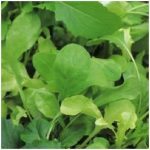 The small leaves are absolutely delicious in salads and the bigger ones can be used in stir-fries. The mid September sowing is definitely the best as you’ll be able to harvest leaves from late October until the following March. The plants are very hardy. 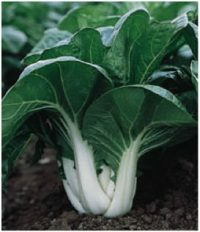 Pak choi may suffer from the usual brassica pests and diseases. Fleabeetles are a particular problem especially in spring and summer. If you insist on growing pak choi early in the year you will have to cover the plants with fleece straight after planting to prevent a fleabeetle attack. You will get 20 plants per square metre (single or multi-sown).